Rosehaven Cottage: When It Rains Love, It Pours! I've been blessed to receive not one, but TWO awards from two very special blogging friends! The "I Love Your Blog" award was awarded to me by PGL at Perennial Garden Lover. If you haven't yet visited her delightful blog, you really need to take a peek. I get so many planting ideas from her. But most importantly, I can always count on PGL to leave a comment on my blog that makes me smile. The "You Are My Sunshine On a Cloudy Day" award was awarded to me by Debbi at Aunt Debbi's Garden who I wish I could give a huge big hug to right now because she said I was "a sweet talented girl"! I love that I'm still a "girl" at almost 42 years old!!!!! I have a really hard time passing awards along to people because I don't like leaving anyone out. So these awards go to everyone listed in my sidebar. 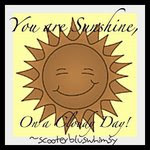 If you're in my sidebar, it's because I love your blog and your spirit that shines through there! 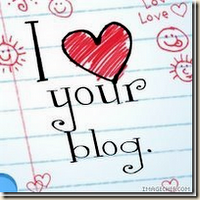 Honey I'm so glad that you have lots of friends in the blog-o-sphere who love and value you! Congrats on two wonderfully deserved awards Cindy! Of course you are a girl still at 42...I am though I´m in fact some years older ;) Congrats to the awards ... you have deserved them so much...I love your blog too!